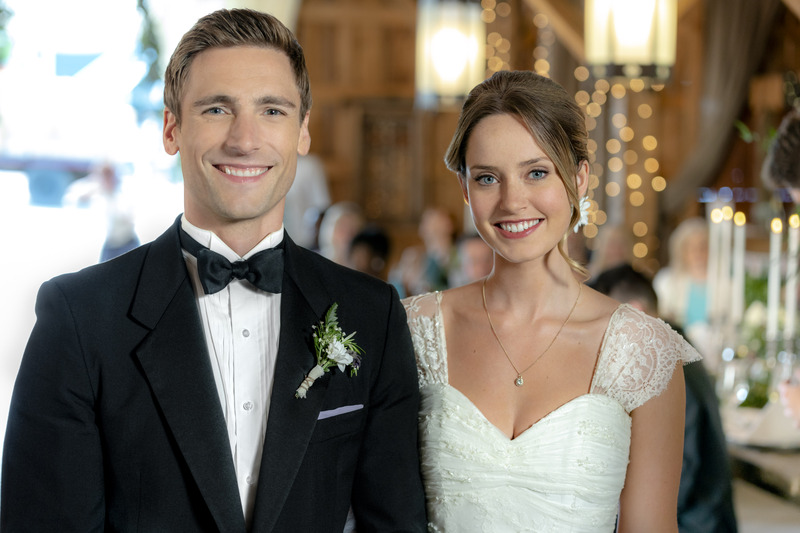 Hallmark Channel loves a good pairing, and so do we. 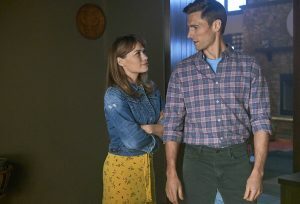 They missed the lightning in a bottle (see what I did there) that happened when Bethany Joy Lenz and Andrew Walker teamed up on Snowed-Inn Christmas for Lifetime, but they’ve rectified that by reuniting them in the completely lovely and charming Bottled with Love, which premieres Saturday night. In the film, Lenz is Abbey, an analyst at a commercial, family-owned food company who’s tasked with evaluating potential acquisition companies. Walker is Nick, the wandering soul son who’s avoided the family business, until now. On the eve of an IPO, the company is in a make-or-break phase of it’s next big acquisition. 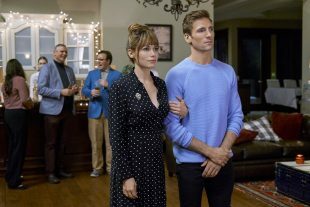 Abbey could use an assist in dividing and conquering potential targets when Nick’s sister, Sophie (Kate Isaac) and dad, Earl (Kevin McNulty), decide he’s the perfect partner to help Abbey out on a project basis that won’t cramp his style. Sophie may also have designs on Nick as a suitable personal match for Abbey, too. Tapping a little bit into their Snowed-Inn Christmas dynamic, Nick and Abbey are oil and water. He’s go-with-the-flow and she’s planning every detail. When it comes to her love life, though, she takes a cue from her aunt that drops her into Nick’s territory. 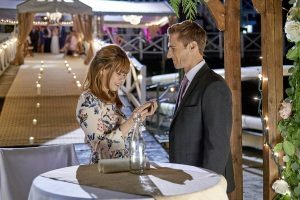 After she’s dumped at a wedding and down on love, her Aunt Frances (Frances Flanagan) instead suggests she pour out her heart and hopes onto the page, roll it up into the titular bottle, and chuck it in the water. She does, and before he comes home to Boston, Nick finds it. Once he reads it, he’s smitten and reaches out and soon the fractious work colleagues are being coming refreshingly honest pen pals. As an added bonus, that helps even out the work relationship, too. And then the truth is realized on one side, which sort of upends both dynamics (for a while). Walker and Lenz are ridiculously good together with an infectious, relaxed vibe that permeates the whole movie. They’re sneakily determined to make you love them. Good luck fighting it. 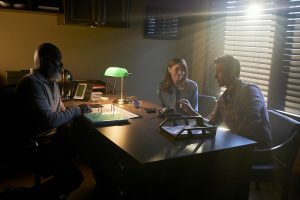 I hope we see more of them working together. There’s absolutely room for more of this particular story, too. David Weaver directs a script by Kelly Bowe. 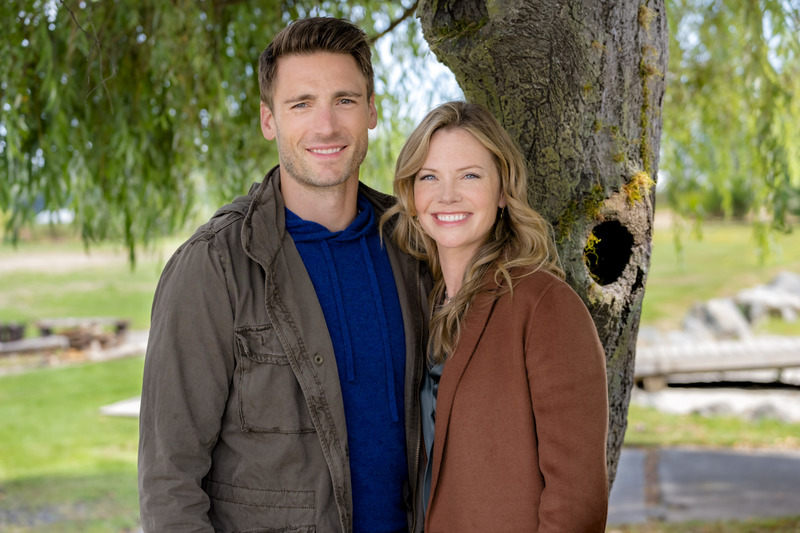 Bottled with Love premieres Saturday night at 8 pm/7c on Hallmark Channel. Here are a couple of sneak peeks.